AIN'T NOTHIN' BETTER THAN FRESH FARM AIR. -said somebody on the internet, but it could have been me! Our Play Days give you the opportunity to let your child enjoy a taste of farm life. The main idea is unstructured play and exploration. Bring a picnic lunch (if you wish) and enjoy pony rides, chicken wrangling, petting our other farm animals, playing in the dirt, a simple craft, and other outdoor/farm activities planned by our staff. Keep tuned to our Facebook page for each Play Day details and to RSVP (not required but helpful)! 1. Take a pony ride! We always have a couple of our favorite horses/ponies out to ride on! 2. Enjoy the extra activity based on the theme. 3. Make a little take-home craft--for the creative ones out there! 4. Play! 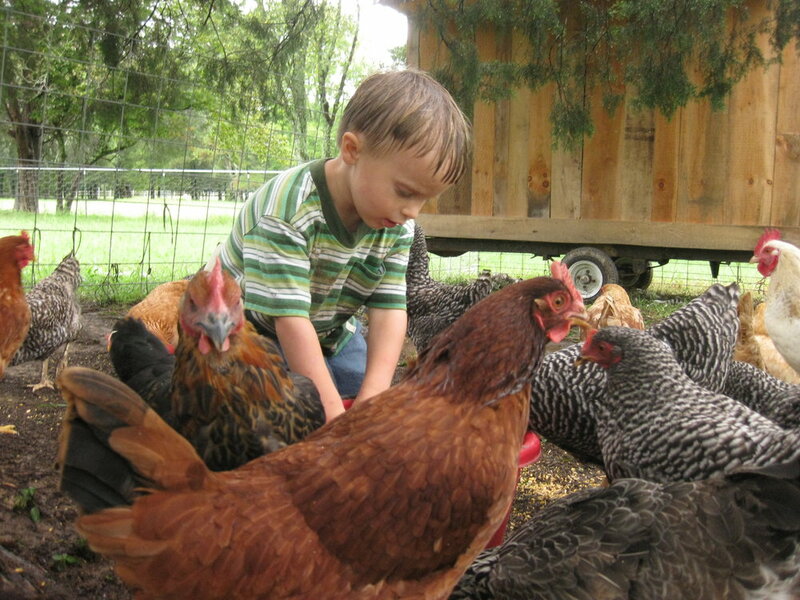 Chickens, sandbox, dirt, wide open spaces--for just being a kid on the farm. 5. Expect to get dirty, especially if it has rained recently! Also, dress for the weather. You might consider a change of clothes and a plastic bag--just in case! 6. Bring a picnic lunch, if you'd like! Lay out a blanket and enjoy being outside. 7. Cost: $10 for the first child and $5/sibling. Cash or check preferred. 8. If you've not been before, you can save time at check in by signing the online Waiver below. Keep updated to any changes by checking our Facebook page!